15.2 h.p. Mitsubishi or Kubota Diesel Engine. 12" or 16" wide buckets available. Operating Weight: 3,638 or 3,703 Lbs. 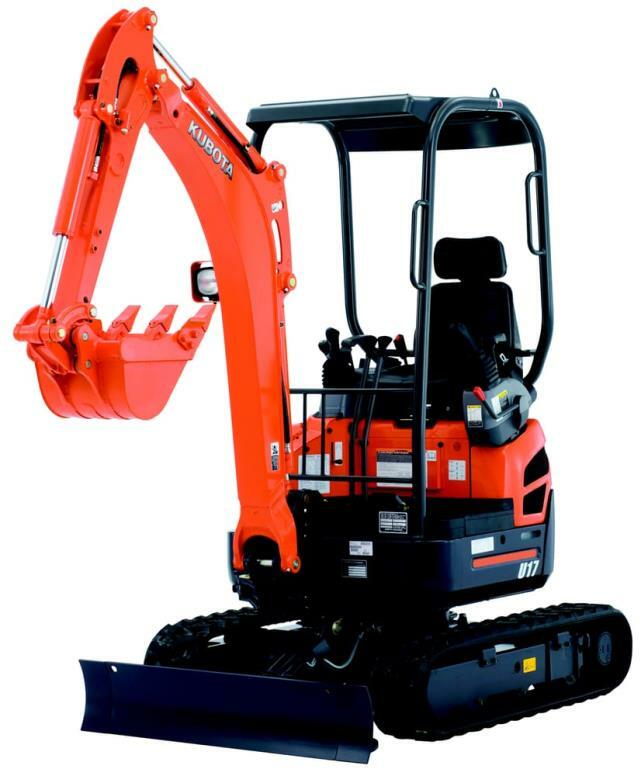 - Tracks collapsed - 39"
- Tracks expanded - 52"
Maximum digging depth: (Scratch Depth)- 7' 1" or 7'7"
Maximum digging reach: (From Center) - 12' 5"
Maximum dump clearance height: - 8' 8"
- Over Front, Blade Down, Ground level - 2,150 lb. - Over Side, Ground Level: - 1,380 lb. Trailer and/or same day delivery is available. 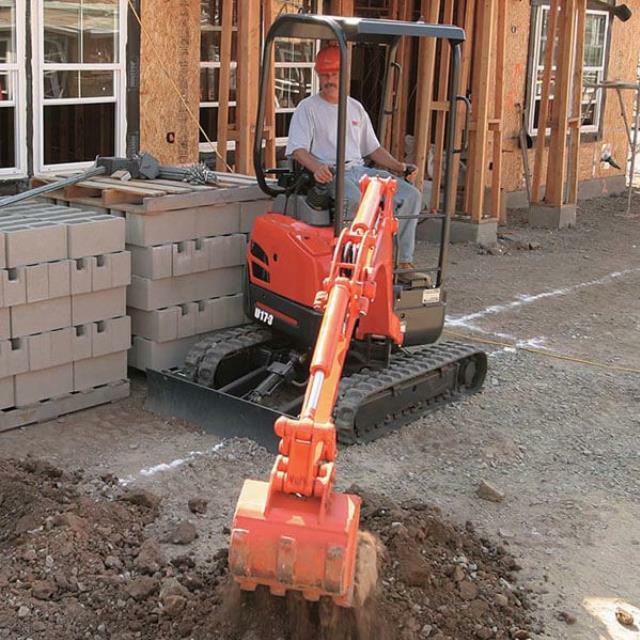 * Please call us with any questions about our excavator kubota u17 or nh e18b rentals in Oak Grove MO, Blue Springs MO, Independence MO, Lexington MO, Odessa MO, Independence MO and Western Missouri.